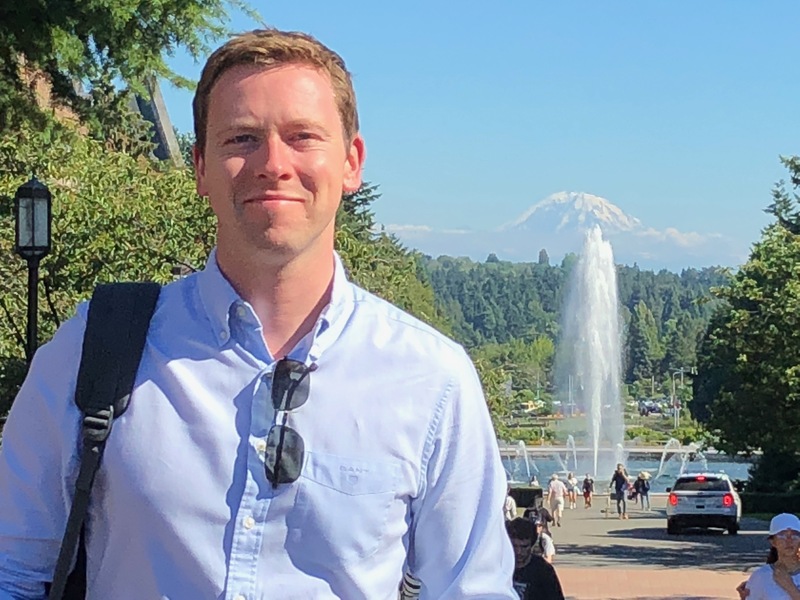 CanTest funded PhD researcher Dr Garth Funston, based at the University of Cambridge, shares his experiences after being awarded the first CanTest Travelling Fellowship. Ovarian cancer is the 7th most common cancer in women worldwide and, with over 4,000 women in the UK dying from the disease each year, the deadliest form of gynaecological cancer. Detecting ovarian cancer early is likely to improve survival and that’s why I chose to focus my PhD on the early detection of ovarian cancer in primary care. Having recently started my PhD, I was eager to learn more about cutting edge ovarian cancer research and also about the approaches to detection taken by other countries. Through the CanTest Travelling Fellowship, I was given the exciting opportunity to spend time with Prof Matthew Thompson at the University of Washington – a leading centre for both primary care and ovarian cancer detection research. I worked closely with Prof Thompson and his colleagues to explore how routinely collected data, such as imaging test results, can be used to investigate the use and effectiveness of ovarian cancer tests in primary care. This is one of my major research interests and I am currently building a research proposal to analyse data from primary care centres in Washington State. There are perhaps no two healthcare systems more different than those of the UK and United States. I learnt a great deal about primary care in the United States, the tests available and the interaction between primary care, gynaecology and oncology. I was especially interested in the more frequent use of imaging tests to investigate symptoms and will consider this in my research. I also spent time with researchers working on cutting edge tests for ovarian cancer, it was really exciting to see what the future might hold. The CanTest Travelling Fellowship has given me a unique opportunity to meet and learn from primary care and ovarian cancer experts, to develop new project ideas and build international collaborations. The experience has inspired me and made me more determined than ever to contribute to the early detection of this terrible disease. The CanTest Travelling Fellowship awards are designed to support visits by Junior Faculty to partner CanTest institutions, or to attend conferences and courses. The aim is to enhance research skills and expertise in early detection research, as well as fostering links and collaborations across international boundaries. If you are a member of the Junior Faculty and would like more information about the Fellowship programme, please contact Dr Fiona Walter, Director (Faculty).